Paper is expensive. It might be the cornerstone of many businesses, but unfortunately it’s one that cost most companies an average of $168 per employee. Field workers may think paper is necessary. For years, field work has been about showing up the site with your portfolio, digging it out of a bag that couldn’t fit another sheet and looking for that pen you forgot was behind your ear. Mobile reporting apps have been on the rise. For inspections, it’s an invaluable tool that replaces the unorganized mess of paper in the truck into a handheld, indexed super tool. 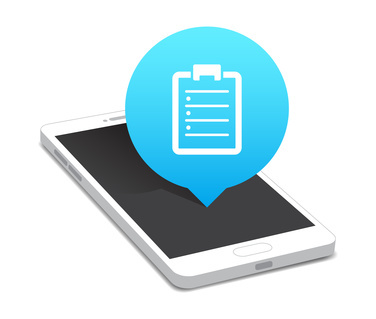 Utilizing a simple mobile solution, businesses can eliminate paperwork, save time and improve their workflow. Snappii has created an App Creator that can produce a mobile app with zero coding experience in minutes. Pick from a list features that you would like to see in your app as building blocks to create a toolkit that will make your business skyrocket in terms of productivity. Replace paper, and get your work organized. Try the online editor out today! Telstra, a research firm, shows that 75% of small businesses still rely on traditional paper-based tools, spending around $608 million a year on paper. Not only does the actual paper create additional cost, but printing it is also expensive. On top of that, errors are much easier to make on paper, yet harder to fix down the line. Digital is the other way around. Moving into a new home can be frustrating when the previous tenants leave their remains. Home inspection apps can help to alleviate some of this pressure by creating a catalog of the home, and organizing them in a report. The biggest advantage is that the user can take photos, make notes about problem areas and record damage that the landlord may have not revealed prior to moving in. Photos coupled with the users own notes also ensure that the inspection can be done quickly and efficiently. When the report is done, you can email a copy to yourself, and possibly the landlord. This will allow both parties to be in agreement with the condition of the house, ensuring that neither side gets a surprise at the end of the lease agreement. For a home inspection business, the report gets automatically archived in their personal cloud. It’s easier to prevent an incident then it is to fix the consequences. Fire Inspection apps can help fire safety departments expedite the way they collect data and ensure that buildings reach fire safety standards. Like the other mobile forms, the filled-out form will be archived for later viewing. Although we always recommend having the property inspected professionally, the mobile app can act as a precursor to a real inspection. With templates built around every form in the industry, it’s easy to find the one you need. Inspectors from different sectors have to complete paperwork every-day. Combined with driving, this can quickly become tedious when taking care of every form to assure none of them would get damaged during the commute. A mobile app can eliminate the need to carry paper around. When the inspection is done, the user can upload their finished report directly into the companies database, leaving little room for error and saving a lot of time inputting the same data over and over. There’s an option to add additional files when you send it as an email as well. The biggest wall most businesses run into when debating whether to jump into mobile apps is the cost associated with creating such a sophisticated software. In the past, tools of this nature were reserved for corporations to had access to teams of engineers. However, recently the market has seen a proliferation of “app-shops” that will build a custom mobile app for you. The bad part is that the process takes months, and can easily rack up a dent in the company’s saving’s. When using that many resources for an app, profits can be a constant chase. Snappii puts the power in the user’s hands by enabling them to create their own mobile app using their powerful, zero-coding platform. The long task of putting together a mobile app can be reduced to minutes, and the cost brought down to a fraction of the original price. As a user, you also have access to our app templates, which are pre-made apps that you can customize to fit your needs. Or you can start it from scratch! Try it out today risk free.